Alleging corruption in the Darjeeling municipality over distribution of the housing scheme to beneficiaries, the Trinamool Congress on Tuesday demonstrated in front of the civic body office and submitted a deputation to the administrator. Hill TMC working president N.B. Khawas said the party had conducted a sample survey of the list of beneficiaries under the Integrated Housing and Slum Development Project (IHSDP) and housing for urban poor schemes to find several irregularities. He said the party had come to know about the discrepancy from an RTI filed. “We have found that 590 cases for the housing for urban poor have been completed. But interestingly we have found that even those who died in 2002 have been listed and given the benefit. And some of the beneficiaries are not even aware of their names being listed for the scheme. How is this possible?" asked Khawas. He added, “We have requested the SDO who is the municipality administrator to check and give us information also of the number of targeted beneficiaries (total 37) under the housing scheme who have actually received the benefits, if at all." 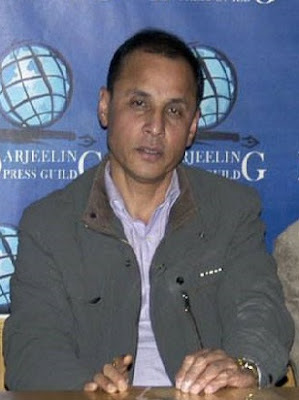 After their terms expired in December last year, the state government appointed the SDOs as administrators in the four municipalities of Darjeeling, Kalimpong, Kurseong and Mirik. The TMC working president said the party had identified and found at least 11 cases where there were discrepancies. “We have submitted our findings to the administrator and requested him to make an independent and thorough inquiry. The administrator has assured an investigation and necessary action against those involved in corruption,” Khawas said. Election to the four hill civic bodies is scheduled tentatively for May 14 and the code of conduct will come into force expectedly on April 17, sources said. However, the TMC leader said election had nothing to do with the party seeking queries. “Election is a process and our demand is not related. We want transparency and good governance. The civic body should be corruption free and work for the people,” said Khawas. Avik Chatterjee, the Darjeeling municipality administrator, said he had received a deputation with demands from the TMC party which he would look into. “They (TMC) came to me and submitted a deputation. The main complaint and demand is that some beneficiaries under the IHSDP and housing for urban poor have not received the benefits while some who are not eligible have been selected in the list. I will consult with the district magistrate and after going through the facts and figures will take necessary action if required,” he said.